MURFREESBORO, Tenn. (OSBORNE) -- The Tennessee business community appears increasingly worried about the future of the economy. 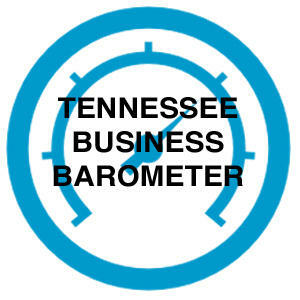 Middle Tennessee State University is out with its quarterly Tennessee Business Barometer. The survey shows a drop in confidence among business leaders of about 20 points in just 90 days. Survey author Dr. Tim Graeff notes the index remains in positive territory, but says respondents are epxressing concernings amid growing economic uncertainty. Not everyone in the mid-state shares that increasingly gloomy assessment. Mt. Juliet Chamber of Commerce President Mark Hinesley says he met with the city's business leaders this past week and found them in an upbeat mood. Hinesley notes that the Wilson County community’s housing starts and home prices continue to rise, and the city enjoys Middle Tennessee’s fastest rate of population growth. He also says 23 new business licenses were filed locally during the month of January alone. But Hinsely says his business leaders do share one concern noted in the MTSU Business Barometer. Companies are having a hard time finding qualified workers to hire. Hinsely says service and hospitality company struggle the hardest. He says some local restaurants have shortened their hours because they can’t find enough wait staff.